We don´t have any Mcdonalds or Burger King in Iceland. We ones did for few years, but it didn´t get enough costumers to stay in business. I was one of those who never went to Mcdonlds. For me the best burgers are made at home with local ground beef (100% grass fed) from the farmers next door. 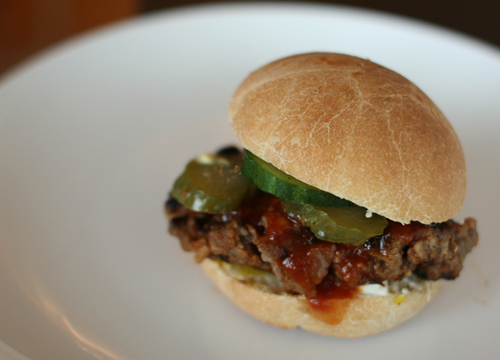 I do make the buns myself as well, specially when I make sliders. I love sliders because sometimes I can not choose what to put on my burger because I want everything and that way I can eat 3-4 small burgers with different toppings instead of one big. Decisions, decisions, decisions… should I have mustard and pickled cucumbers or guacamole and chilpotle, maybe bbq and mayo…. The other day I made 16 little burger buns and 16 little 40 gr. burgers. Few of them I marinated in bbq sause, others were plain with a dry rub and few had Indian spice blend. 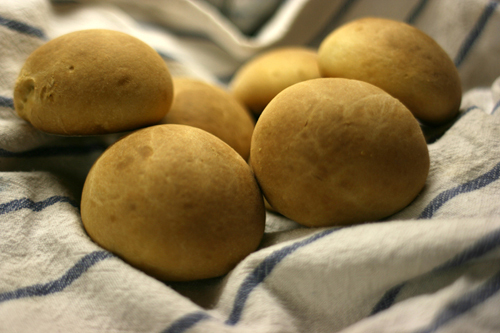 Make about 16 buns from this dough. Put it on a parchment paper on an oven plate and let it rise for about 30 minutes. 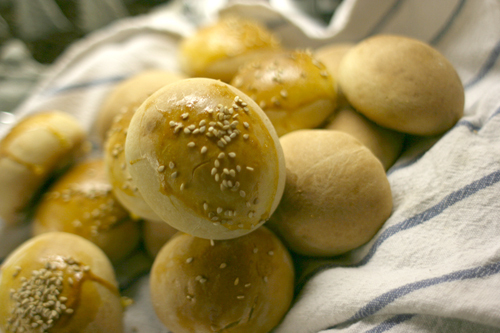 I put eggwhite and sesame seeds on some buns before putting it in the oven. 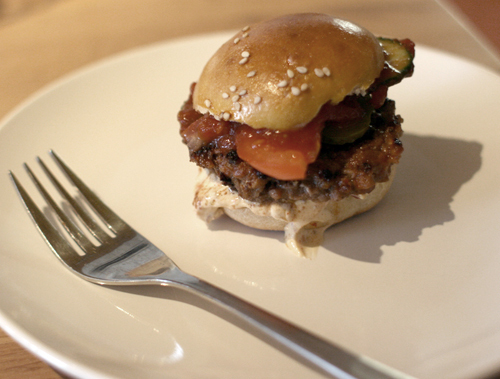 Make small burgers, about 40 grams each. I added to my ground beef some finely chopped shallot, chilpotle spice, salt, pepper, barley and an egg, and mixed it well. I made an bbq sauce in a pot: Butter, garlic, shallot, brown sugar, ketchup, canned tomatoes, pineapple juice, chilpotle spice mix, salt, pepper, red wine, and chilpotle in Adobo sauce. 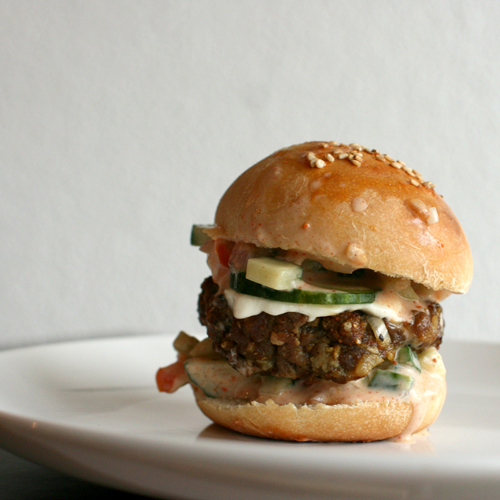 Burger Raita: The burger with the indian spices had raitia, Greek yogurt, red onion, tomatoes, red pepper and cucumber, all finely chopped. I spiced it up with a tikka masala spice blend and garlic. good Jesus they look amazing. I must make them.